A conservation biologist who is bidding to help Australia’s native animals learn to give cane toads a wide berth has been awarded the 2016 Prime Minister’s Prize for Science. University of Sydney professor Rick Shine was given the award for his work in using evolutionary principles to boost the effectiveness of real-world conservation. One example is his innovative use of “teacher toads” – small cane toads deployed in areas where native animals are threatened by the poisonous invaders. These small toads aren’t big enough to kill but are unpleasant enough to encourage animals such as quolls and lizards to steer clear of eating bigger cane toads in future. Invading cane toads are spreading westwards across tropical Australia and have now reached the northern parts of Western Australia, growing bigger and faster as they go. By deliberately releasing smaller cane toads ahead of the invasion front, the project aims to give native animals a better chance of avoiding being caught on the hop. Professor Shine’s research has also explored ways to stop cane toads reproducing, by lacing traps with pheromones from other species that attract cane toad tadpoles. Originally a reptile biologist, Professor Shine began studying cane toads after one arrived at a site on the Adelaide River near Darwin, making him realise the significance of the threat the toads posed. “The creatures like snakes and lizards that dominate our ecosystems, they’re the ones we have to focus on, they’re the ones we need to understand if we want to keep Australia’s ecosystems functioning,” he said. Rick Shine on his love of reptiles. UNSW Australia conservation ecologist Mike Letnic said that Professor Shine has been a role model for many scientists, particularly biologists tackling big questions about evolution and conservation. “For me the biggest contribution he has made is in studying the rapid evolution of some species such as snakes, and obviously the work on cane toads feeds into that. The big challenge is whether you can harness that evolution for biological control,” he said. Other award recipients include Michael Aitken of the Capital Markets Cooperative Research Centre, who won the Prime Minister’s Prize for Innovation for his use of financial data to identify ways to improve Australia’s health markets. Having initially developed ways to detect fraud in financial markets, Professor Aitken then turned his attention to spotting inefficiencies in health spending. He and his colleagues have identified examples of “low-value treatments”, which are over-prescribed relative to the benefits they deliver – such as prostate screening and surgeries for chronic arthritis. Professor Aitken said you can learn a lot by studying the “low-hanging fruit” of health financial data to spot treatments that are being over-prescribed. But he then asks clinical experts to evaluate the evidence base for the treatments themselves. Michael Aitken explains his data-driven approach. 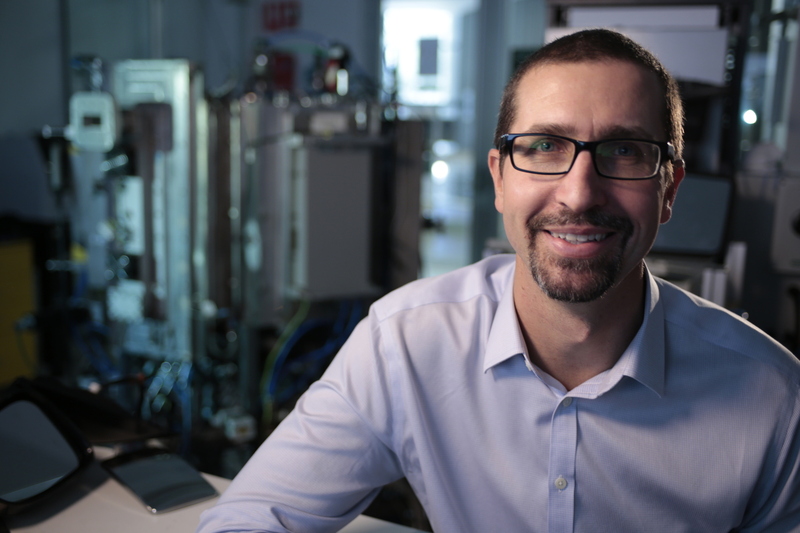 Another scientist being honoured for innovation is Colin Hall of the University of South Australia, who has created a high-tech, all-plastic replacement for standard car wing mirrors. His design is lighter and more sustainable than the conventional metal-and-glass design, but it had to pass a succession of stringent tests designed to mimic harsh motoring conditions before being adopted by the car industry. “The hardest was the salt test – it had to be sprayed with very salty hot water for ten days,” Hall said. Other tests included a thermal shock test in which the mirrors had to cycle rapidly between -40℃ and 80℃, 200 times in a row, to ensure they could handle temperature changes. Colin Hall’s high-tech plastics have passed the test. Hall’s earlier research focused on designing high-tech plastics for spectacles. But while a pair of glasses might be replaced within a year, cars are designed to last at least a decade, which means the industry is very strict about which designs it approves. Hall hopes that, in time, all of the metal components on cars can be replaced with plastic alternatives, thereby doing away with the highly polluting electroplating processes currently used in car production. Other prizewinners include Richard Payne of the University of Sydney, whose work on re-engineering protein molecules found in nature promises to give us new ways to treat stroke, malaria, tuberculosis and even cancer, and has earned him the Malcolm McIntosh Prize for Physical Scientist of the Year. University of Queensland conservation scientist Kerrie Wilson has won the Frank Fenner Prize for Life Scientist of the Year, for her work on evaluating “ecosystem services” – the benefits provided by natural resources such as clean air, water and food. Perth teacher and former geoscientist Suzy Urbaniak has won the prize for excellence in secondary school science teaching, while the award for primary school science education went to Sydney-based Gary Tilley. The winners, who will share a prize pool of A$750,000, will receive their prizes from Prime Minister Malcolm Turnbull and Science Minister Greg Hunt at a dinner in Parliament House this evening.